Make your route with Fabulor's audio-guide and let it accompany you while visits the Museum or the Camp Nou Tour at your own pace. You will not miss any detail of the history of the club and meet the funniest in the history of this famous club anecdotes. Who could have imagined in 1899, when a few stakeholders responded to a small ad in which people sought to organize football matches, that that small gesture would mark the beginning of the history of the great Football Club Barcelona. Today "Barça" is the football team with more partners in the world and, according to the historical ranking of the UEFA, the best club in Europe. Fans admire and celebrate the successive victories and techniques of their favourite with big furor player game. The field of FC Barcelona is the famous Camp Nou, soccer stadium in Europe which has a seating capacity for 99,000 spectators. Thanks to the road that has FC Barcelona failed to open a museum dedicated to his career and is, today, one of the most visited of all Spain. 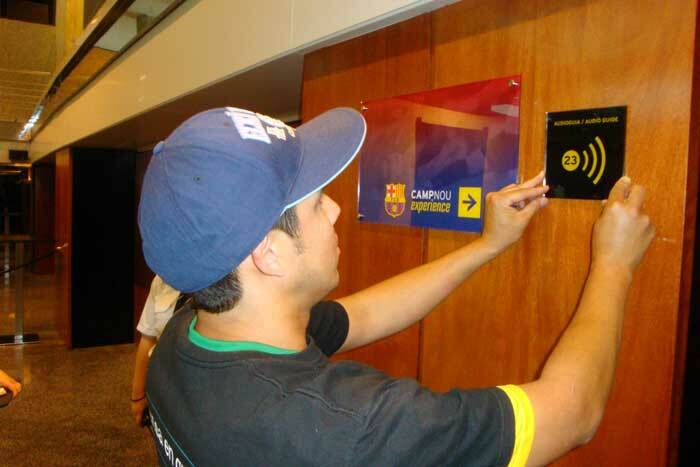 For years visitors to the Camp Nou have at their disposal the audioguides, that with the usual quality of Fabulor, inform them in detail about the different sections of the installation. This traces the history and the great stars of this club legendary, being able to contemplate in it pieces of great interest: t-shirts, balloons, cups, and images of historical parties will vibrate all the football fans. 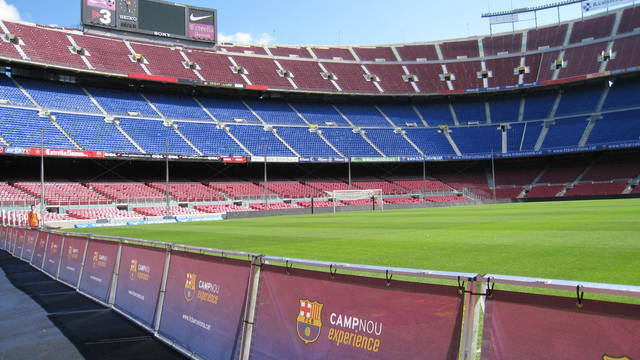 Visitors can also make a tour by the stadium, which is just to the side, and can for example travel the same path that players perform when they come out of the locker room to enter the field. Interviews, original audio sequences and music that includes the audioguide make the visit an authentic experience for all "culé". As a company specializing in the rental of wireless systems for guided visits, Fabulor puts at the disposal of visitors this audioguide in catalan, Spanish, German, English, French, Italian and Dutch, carried out by experienced translators and native voice actors. Sure that you will agree with the slogan of the FC Barcelona that this team is, without a doubt, "more than a club" after the visit.